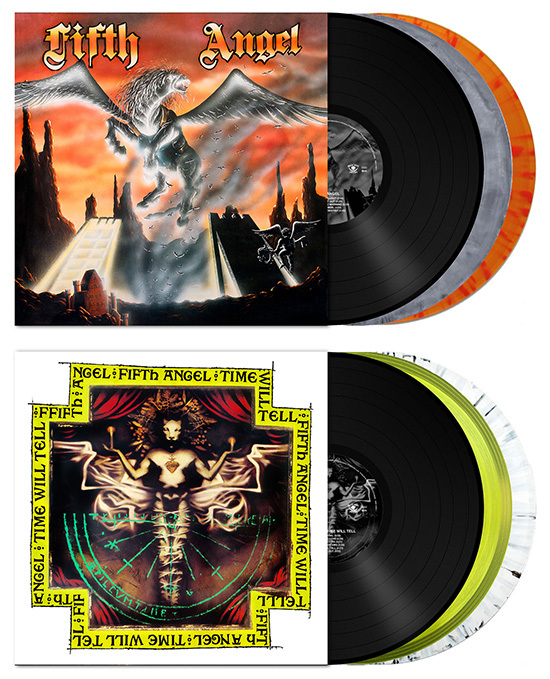 Metal Blade to re-issue FIFTH ANGEL albums ‘Fifth Angel’ and ‘Time Will Tell’ on May 18th on vinyl as well as on Digi-CD! FIFTH ANGEL is one of the best melodic Heavy Metal bands of all times! Both their first two albums are true classics and have stood the test of time easily. FIFTH ANGEL released their self-titled debut album in 1986, the successor ‘Time Will Tell‘ was released in 1989. Both albums have been out of print for a while and will get a luxury treatment for these re-issues. Expect the following on release date, May 18th!